Not really though: Lenovo, HP, Dell Acer and ASUS all increased sales the past quarter even though the overall market declined. Apple too. It’s not clear which PC company is suffering, but the strong get stronger while the weak exit. So flat iPad sales — despite whatever Tim Cook may say — is alarming to Apple and Apple watchers. Moreover, now that Apple is selling larger phone sizes, people are finally realizing that you don’t need a big phone and a small tablet. The bigger iPad will need to grow a lot faster for the overall business to grow. The iPad may not be one of the weak, but it is not one of the strong either. What should Apple do? The company has two possibilities: 1) make the iPad more appealing to a new market segment, and/or 2) deliver the same proposition to the existing market segment better. That new segment is business. We dedicated a whole column to this topic, but here’s the recap: Apple has a 13-inch iPad Pro in development with a split screen functionality that will make the iPad a stronger device for business users. The company is also rumored to have a revamped, 12-inch MacBook Air — that the iPad Pro will have a bigger display size says volumes. According to the Wall Street Journal, Apple delayed the iPad Pro to early 2015 because of supply issues and so didn’t announce it in yesterday’s keynote. Instead, Apple chose to focus on the second strategy for the keynote: doing the same thing better. The iPad 2, 3 and 4 basically had the same body, so pundits were somewhat surprised to see a noticeably streamlined iPad shell for the second year in a row. Perhaps that speaks to the urgency driving Apple with its iPad line. Apple’s strategy with the iPad Air is clear with the sequel — they want to improve the Air enough to make the iPad mini obsolete. The key to doing that is reducing the iPad Air’s weight. A larger tablet does everything better than a mini tablet except portability, and specifically, being able to hold the device in one hand while you read. Large tablets were too heavy for that purpose. 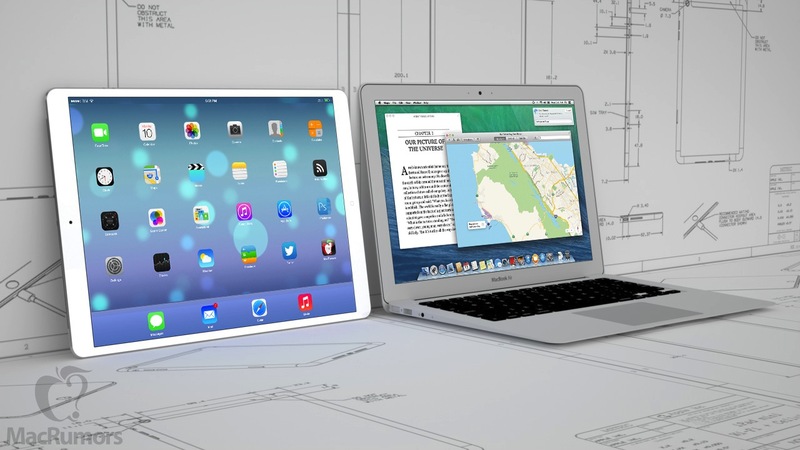 That may change with the iPad Air 2, which is 18% thinner and 7% lighter than its predecessor. I considered purchasing the first iPad Air when it launched and “one hand holdability while lying down in bed” was the test I gave it in the store (don’t ask how). It was just a shade too heavy. That will be the test I give the iPad Air 2 again. If it passes, the iPad mini is truly dead and buried. 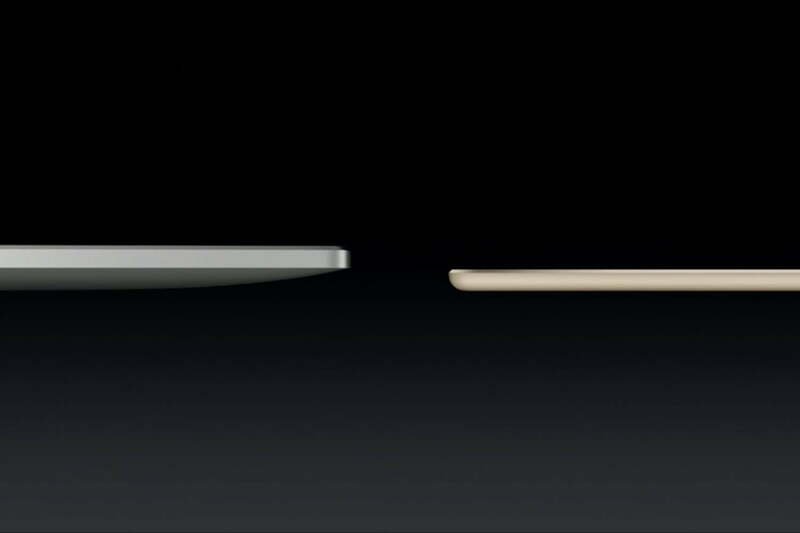 The iPad mini 3 is getting squeezed from both sides: the iPhone 6 Plus from the bottom and the iPad Air 2 from the top. There is less and less need for this device to exist; mini tablets, like I long predicted, will eventually become a niche device. It’s no accident Apple spent considerable time talking about the iPad Air 2, and then simply glossed over the iPad mini 3. It’s right time to buy iPad Mini 2 then. 7-9′ Tablets are here to stay. It’s that cute little one’s very handy than going 9/11′ tablet or those 5-6′ phones for which we need to get into contract/data plans. iPad Mini 2 is going to be THE ONE Tablet this holiday season. Target, Staples are all going to give another $50 cashback. It’ll be just $299 for iPad Mini 2, excellent device great deal. I think that the narration around tablet is changing from portability, apps availability to productivity and Apple, in its current position, does not really have a better value proposition than its competitor mainly Microsoft and Google. In fact, I will not even consider google in the conversation because when you enter tablet and productivity, I cannot think of anything Android or Samsung. When the conversation is around tablet and productivity, from Microsoft is the Surface Pro line, for Apple, this will be the iPad Pro assuming that they can deliver on this, for Google, well we don’t really have anything that stand. the Nexus line does not really count based on sale. One may be thinking Surface Pro is not making any money, but if current estimate of sale and revenue based on current trend, the Surface Pro 3 only will be 2 billions dollars business (disclaimer, I read the article on cornerplay at http://www.cornerplay.com). While in the smartphone segment, the number of mobile apps is the main narration and in fact, is the cornerstone what a mobile experience should offer, in the productivity aspect, I really don’t see the advantage that Apple has. This is especially telling, when all the apple executive spent considerable time try to convince the audience that you can really be productive with an iPad. From a hardware prospective, the true is, in the business segment, the advantage that Apple has comparatively in the consumer market is not clear. For instance, portability is not a factor when there are other devices that are as portable if not even more portable for the 13inc size aspect. For instance, what advantage a iPad Pro will have over an Surface Pro 3 which is already very portable and offer decent battery life. With the recently announced Intel Core M new processor, it is really a matter of time that Microsoft will offer a device even thinner, more portable and greater batter life. So, hardware wise, Apple does not really have an advantage. An integrated keyboard and kickstand is an advantage that the Surface product line has over any current tablet in the market. From a device management stand point and cloud service, nothing else need to be said. In fact, Microsoft is in better position to offer better device management than any other company in the tech world. The software giant has been doing this for years. For apples, this is new territory, and the recent iCloud celebrity leak does not really help. Microsoft Intune, Microsoft Azure are entities that Apple can only dream about, In fact, it will take years to have the same capabilities that Microsoft is able to offer from a device management prospective. In if you are a business looking for a device management infrastructure, Surface Pro is a better solution because Microsoft can offer a truly vertical solution: True device management and productive hardware. For a software point of view, while windows 8 did not shatter the world, it offered a Microsoft a once in lifetime opportunity to complete change the underlying aspect of the operating system for better update, security system and management. In fact, in that regards, iOS is simply not comparable to window 10 from a productivity point of view, again Microsoft has a clear advantage. Unlike the consumer market, where Apple can use this reality distortion to appeal consumer on thinner and light gadget, this is completely different in the business segment where it about a long term view. the story around windows 10 is clearly an sign that Microsoft is willing to work for the best in that segment in the business and productivity segment. If Microsoft can truly deliver on the promise of windows 10, then they will have an even greater advantage. With the recent LA school district fiasco, CTO, will have to think twice about deploying iPad for productivity. More importantly, the iOS was not built with mouse and keyboard in mind, this is also true for Android. Chrome OS, at this time, is not really a factor although this can change. The fact that Microsoft is now controlling the narration from portability and app availability to productivity is a testament of company aware of what need to be done as opposed to constantly chasing apple of what they are good at. This is true in politic because the party that usually wins does not necessarily have the better policy. Control the narration and deliver on it is the key for Microsoft is actually win the tablet productivity segment. This is a vision that Microsoft has, what is the vision of apple for this segment? A bigger iPad is not really a vision just like a better smartphone is not a good strategy, just ask Samsung. 3-time tech entrepreneur. Stanford MBA and Duke undergrad. Passionate about technology. Writes for the cornerplay, aiming for uncommon observations, contrarian insights and hidden truths. 1/day.